I honestly hadn't put too much thought into this look when I threw it on. Ollie and I were rushing out the door to look at an apartment and this is what I came up with. Also, I just found out that today is Wear Red Day, so what perfect timing! Totally unplanned, but these things have a way of working themselves out. I hope you have an amazing weekend! Really?? Wear Red Day?? That's so funny...I did some red for my blog look today, too!! 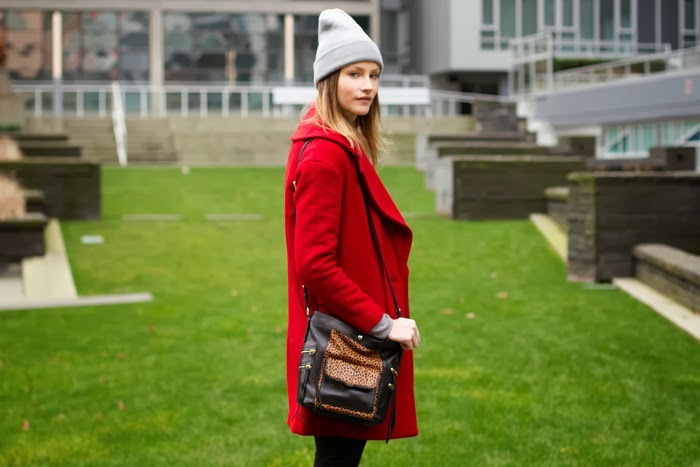 This coat is the perfect "punch up" for your black and grey basics; it's relaxed and casual, but still pulled together. I'm happy to see that leopard bag again, too!! Love the pop of red! Love the look! I'm in total love with that jacket! I need to invest in a goodie for when winter hits us here! 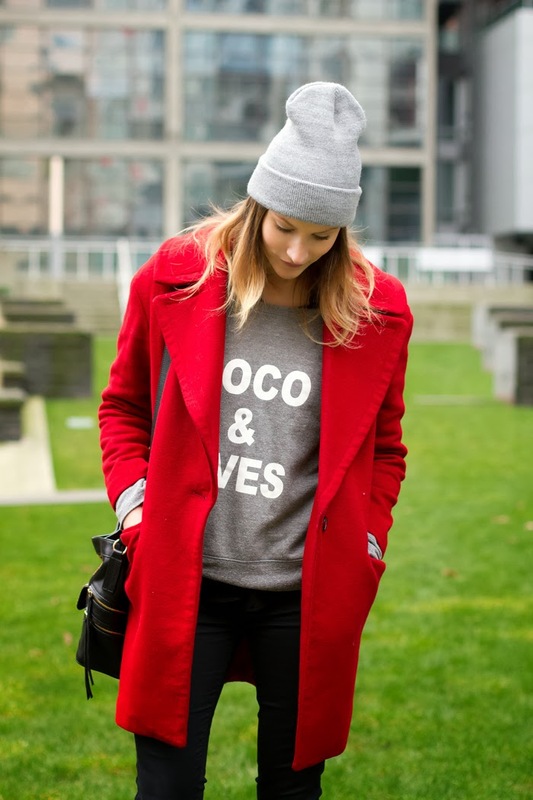 you look gorgeous, we love the bright red coat! !